On March 20, 1966, the Jules Rimet Trophy was stolen while on display at a rare stamp exhibition at Westminster Central Hall in London. The lapse in security that had led to the World Cup being snatched did not reflect well on the English nation and over the next seven days the question of the trophy’s whereabouts filled many column inches around the world. The trophy had been handed over to the Football Association in January 1966 ahead of that summer’s World Cup in England and the theft of the item was an embarrassment to the FA and tournament organisers. A week on from the theft, Thames lighterman David Corbett, 26, took his mixed breed collie Pickles for a walk near their home in South Norwood, London. It proved to be one of the more eventful moments in both the dog and owner’s lives. David Corbett with Pickles in 1966. Mr Corbett said in 2006: “Pickles drew my attention to a package, tightly bound in newspaper, lying by the front wheel (of a neighbour’s car). I picked it up and tore some paper and saw a woman holding a dish over her head and disks with the words Germany, Uruguay, Brazil.” He soon realised that in his hands was the World Cup, which his beloved dog had just found. Finally free to go and eliminated from enquiries, Mr Corbett was duly rewarded for the find made by Pickles and he could again feel proud about his dog’s endeavours. He received at least £4,000 in rewards (a lot of money at the time). Speaking to the Daily Mirror two days after the World Cup was found amid speculation he may not receive the offered reward money, Mr Corbett said: “If I get the rewards the first thing I would buy is a house.” He duly moved to his new home in Lingfield, Surrey. 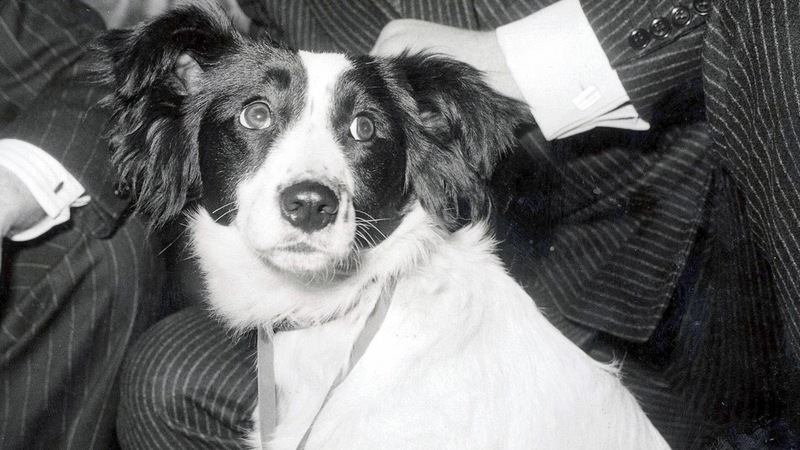 The fact a dog had made the discovery added to the global intrigue in the story. For Pickles – and Mr Corbett – the invites kept coming. 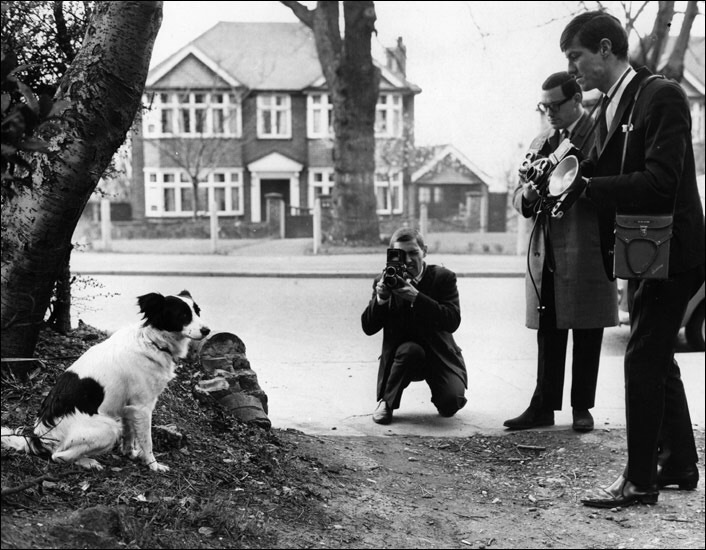 Numerous TV appearances were enjoyed, along with the dog being invited to perform in the comedy film The Spy With a Cold Nose. When Bobby Moore lifted the Jules Rimet Trophy four months later at Wembley, Pickles was invited to the celebration banquet. There were also offers for Mr Corbett to take his dog overseas, with the story having attracted great interest far beyond Britain. But those offers were turned down. “I would have had to put Pickles into quarantine for six months and he was only a pet so I didn’t think I could do that,” said Mr Corbett in 2006. Any dog lover would have felt the same way, but sadly Mr Corbett and his family would only have a short time left to enjoy with Pickles. Pickles attracted widespread media attention after finding the World Cup. Pickles would only live to enjoy the proverbial 15 minutes of fame. 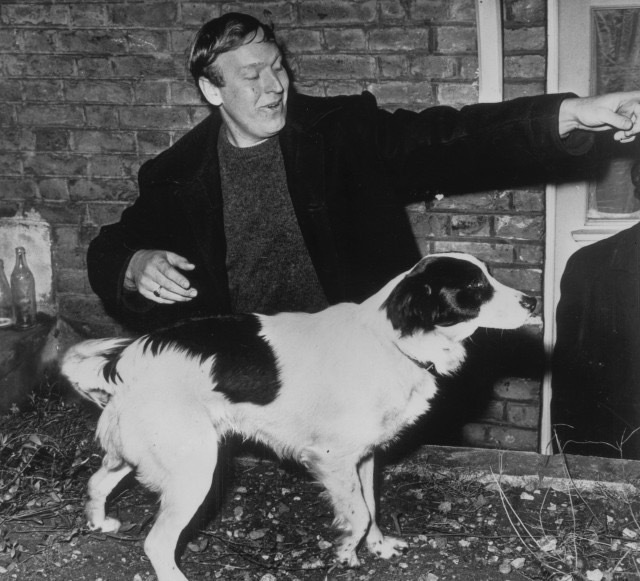 A few months after the 1966 glory, he choked to death on his lead while chasing a cat near his home. It was a tragic ending, but his discovery of the World Cup would never be forgotten. Every World Cup or landmark anniversary sees Mr Corbett approached for interviews, which he seems happy to provide. “My family love Pickles,” Mr Corbett told the Croydon Advertiser earlier this year. “My grandaughter did a presentation on him at school the other day and my children in Australia live on the fame too.” It seems the story of Pickles will never lose its magic. We are focusing here on Pickles and Mr Corbett, although there was obviously more to the story than that. To simplify matters, a replica of the trophy was commissioned after the theft and FA chairman Joe Mears – whose death in July 1966 from a heart attack has been linked in some reports to the stress caused by the trophy being stolen – received a £15,000 ransom note for the original. Only one person, a 46-year-old man named Edward Betchley who insisted he was merely a middleman in the process, was ever prosecuted in relation to the World Cup’s disappearance. He was convicted of demanding money with menaces with intent to steal and jailed. The Jules Rimet Trophy was permanently awarded to Brazil after they won it for a third time in 1970, but in December 1983 it was again stolen. This time it would never be recovered. Pickles remains fondly remembered almost 50 years after he died. On Sunday, March 27, the South Norwood Tourist Board is holding ‘Picklesfest’ as the region pays homage to Pickles on the 50th anniversary. Mr Corbett has also called for a statue to be built on Wembley Way in the pet’s honour. “It’s the world’s most famous dog that saved the FA’s bacon,” said a proud Mr Corbett as he pressed the case for the statue. Regardless of whether one is created, Pickles’ discovery of the World Cup 50 years ago will never be forgotten. As with others including Sir Geoff Hurst and Kenneth Wolstenholme, he is synonymous with the 1966 World Cup. And quite deservedly too.